Beadazzled - Jewelry & Watches in Amsterdam. 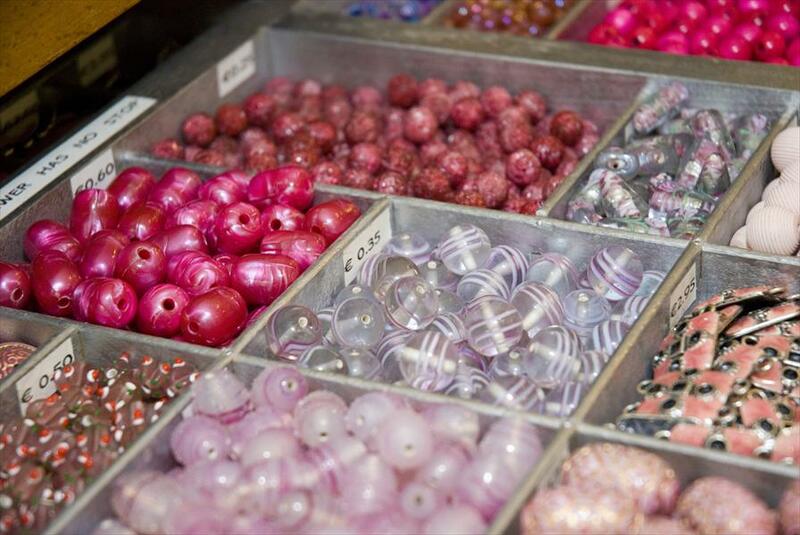 This store offers a beautiful collection of individual beads, home-made jewellery and accessories, including bags. During the summer, the store offers a wide selection of flip-flops by Havaianas and Ipanema. They also offer workshops for both adults and children. Beadazzled carries an extensive, unique collection of beads. Due to, among other reasons, its policy of buying abroad, they are able to offer beads that differ slightly from the norm, and are consequently not easily found in other stores. In this widely spaced store, the beads are presented in old printer´s cabinets. The joyful colours create a vibrant atmosphere, one you´d love to browse around in for hours. Beadazzled has three different branch stores: Sarphatipark 6 in Amsterdam, Gierstraat 53 in Haarlem and Wagnemakersplein 1b in Hilversum. Own jewellery by Beadazzled. Flip-flops by Havaianas and Ipanema.